I am excited and awestruck looking at the spring blossoms in Chicago, soaking up in the color and vitality and gazing at beautiful flowers all around. It is indeed a time of renewal and letting go of things that don’t serve us anymore. It reminds me of a rebirth or reincarnation. It is my first spring and I cannot be more elated about it! The other day I saw a bunch of yellow flowers in full bloom and I was so sure they were daffodils. I have never seen daffodils in real life before but those bright yellow flowers somehow fit the bill of William Wordsworth’s description of daffodils in his poem ‘Daffodils’. Those daffodils flowers were bent a little down. Beautiful as they were and yet they didn’t show the pride. I thought they were giving a lesson in humility and trying to tell me, “I know I am bright, beautiful and desirable. But my true beauty lies in my humility and hence I don’t have a haughty stance. I keep my head low with humility and sparkle my inner beauty”. Always be humble and don’t let pride take over! For the past 5 months, the season here was severe. No tree had one leaf left on it. Every tree was stark naked. The snow and the harsh winds blew and yet the trees stood strong. And now slowly, buds are blooming and leaflets are rising up. Nature never fails to surprise me! For 5 months the trees did not have leaves to prepare the food, it stored all its nutrition and survived this extreme weather only to transform beautifully the way it is today. Those tiny leaflets on each tree give me hope that my tough times are preparing me for the best times in my life! Nature started all over again during spring! New leaves, new flowers, new energy – in short a new life. We can start over too. Why not let the spring guide our life and let go of the things no longer serving us and start over? How about starting over life by doing what you love? What about that toxic relationship which needs to be shed to let our spring bloom? Or that habit of ours which isn’t allowing us to grow into our full bloom? Start over and welcome the spring in your life! #Lesson 4 – It is time to sing just like the birds are doing! Every morning I wake up to the chirping and humming of birds. Tiny birds with such gorgeous colors fluttering from tree to tree and sometimes visiting my patio. I have seen huge white and grey birds in Florida, but never such tiny timid vibrant birds. It just melts my heart. These birds seem to be singing their heart out not bothering about anyone! The lesson I learnt from them is sing the song of your soul! What is that your soul is yearning to do? Get up and do that! Sing the song your soul wants you to sing! Sing the song of your soul and sing it as if no one is listening. Spring time is the time when wildflowers bloom too! 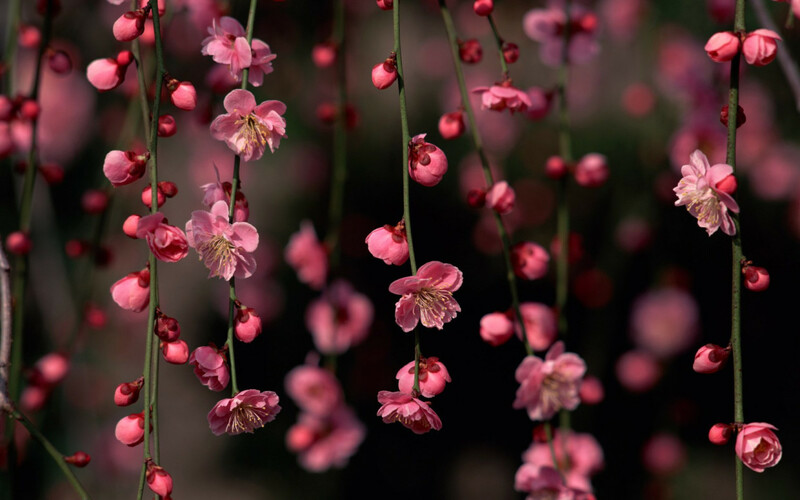 It is a tiny flower which might look a little dull in front of the exotic cherry blossom and other colorful flowers. But the wildflower doesn’t care! It continues to be it’s own beautiful self! It does not compare itself with others and is happy in its own world! Be your own beautiful self, don’t let the world tell you otherwise! My first spring and I am thrilled to learn so many life lessons! My every gaze looking at the nature fills my heart and soul with so much of gratitude, love and renewed energy! What spring lessons are you learning this season? Pradnya Vernekar is a certified holistic life coach, an angel card reader, an energy healer, an avid reader, a natural writer and an amateur poet. Being an ardent believer in God, she tries to dig happiness in the darkest of mines. Join her in this joyride called ‘life’.